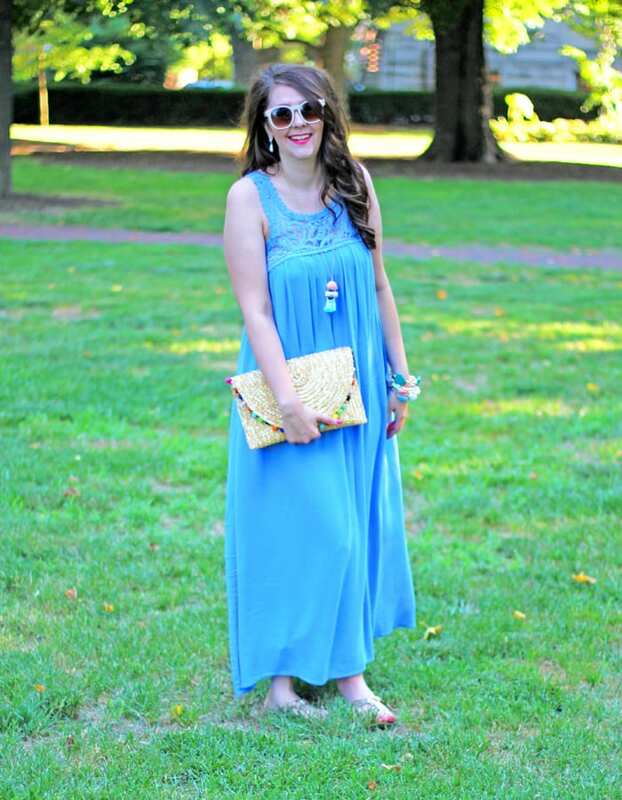 I have long loved the look of a maxi dress, but I’ve struggled to find a maxi dress I loved the look of on me. It seems that they all fit awkward and just weren’t suited to my body type. Until I was browsing on PinkBlush Boutique and found this one. It was love at first sight. 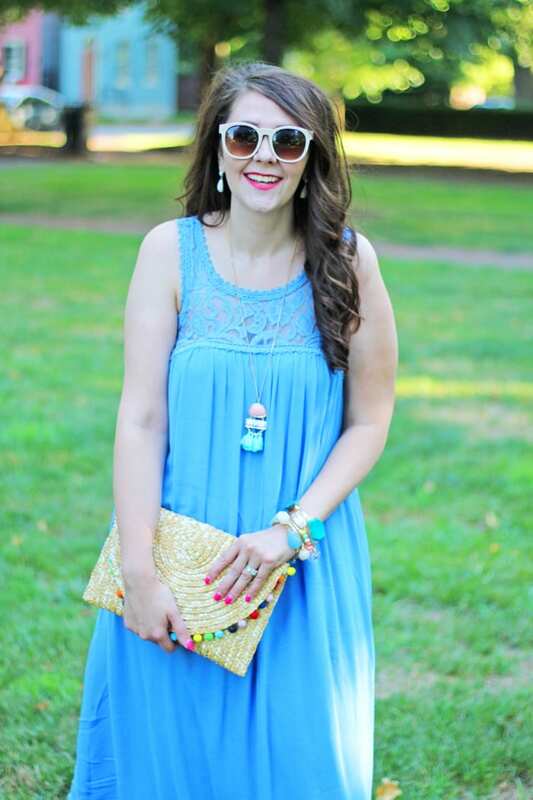 The color drew me to this dress, and the lace detail sealed the deal. It’s such a darling dress. Also, this dress is actually long enough on me (I’m 5′ 9.5″)–most maxis fall at some awkward length on me, but this one is great. , I would advise you not to put this in the dryer, though, as my shrunk up a little length-wise. The fabric is soft, breathable, and forgiving, so it’s perfect for summer. 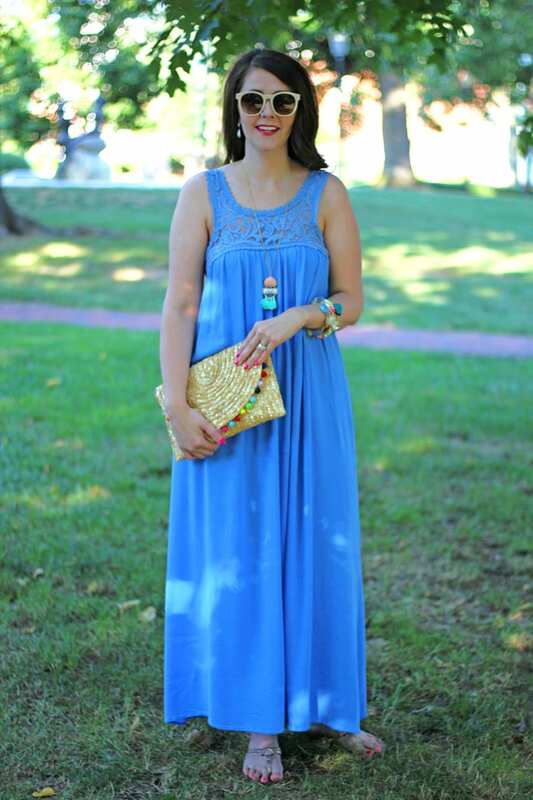 With long dresses, I like to wear a long necklace to mimic the dress length. I decided to wear one that had contrasting pops of blush and mint, and it turned out so pretty against the blue of the dress. 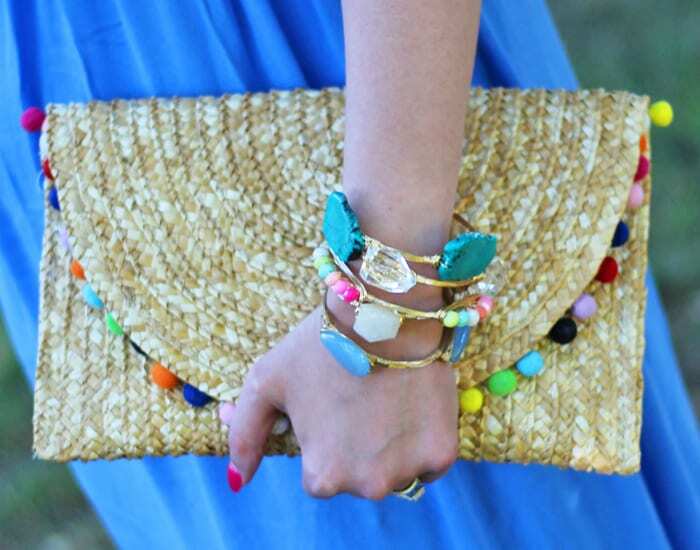 I also pulled on some fun bangles in a variety of colors to pull my color palette together. 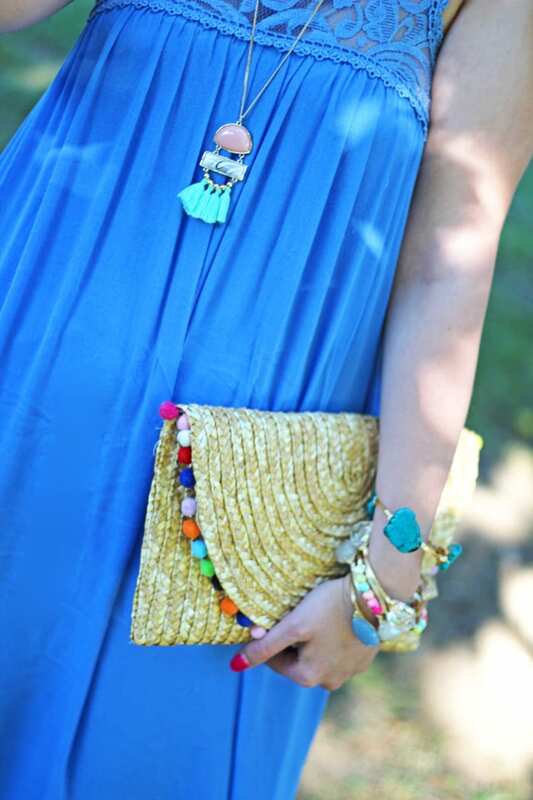 To complete the look, I added fun sunglasses and my pom-pom clutch. 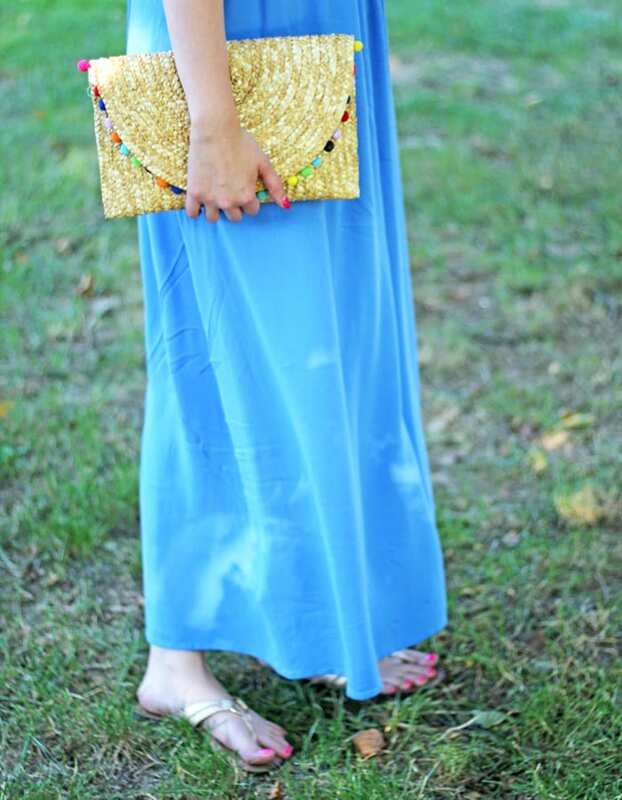 PinkBlush is a trendy women’s boutique. They have so much cute stuff that it was hard to decide what I wanted! Their clothes are stylish and comfortable, which makes them awesome for everyday wear. 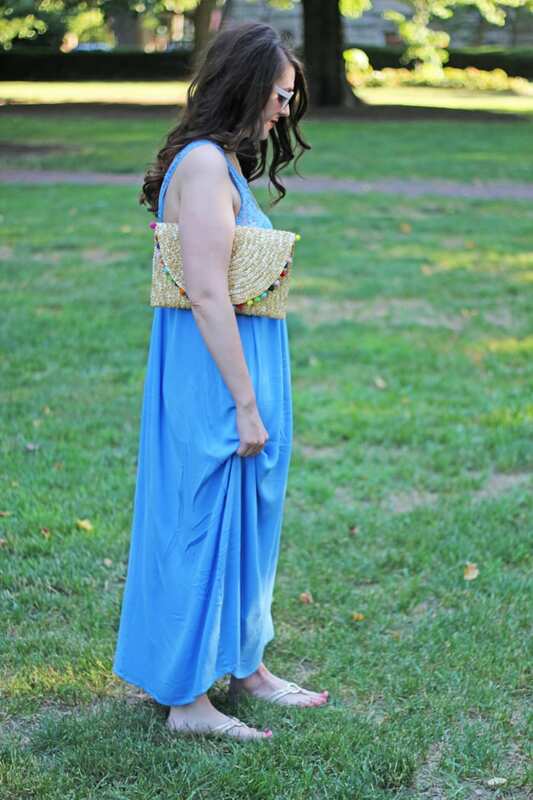 I think that they run a little bigger size-wise across the board, so I did size down to a small for this maxi dress. 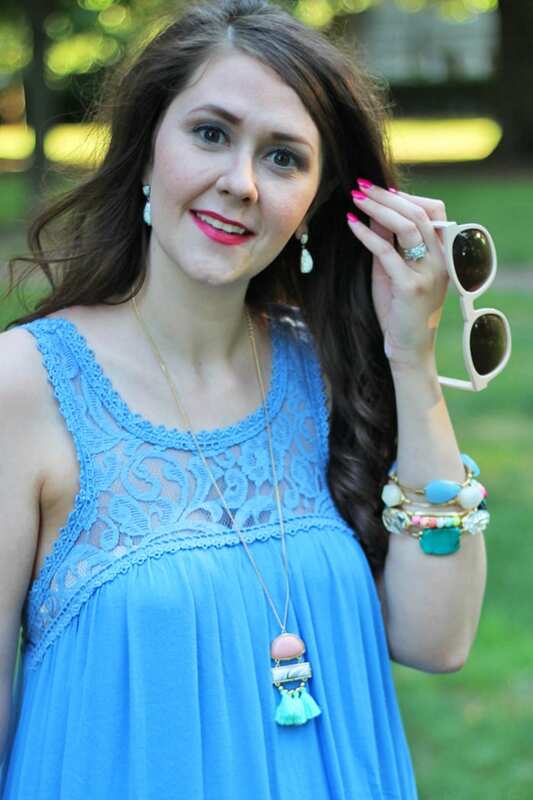 PinkBlush is offering a $50 credit to their store to one of my readers! Be sure to enter the giveaway via the widget below. This giveaway is only open to legal residents of the United States who are 18 years or older, and who have not won a giveaway sponsored by PinkBlush in the last three (3) months. For full terms and conditions, see the Rafflecopter widget below.